Diana Y. Paul is the award-winning author of Things Unsaid, her debut novel (SheWrites Press: 2015). It has won the award for best New Adult Fiction from Beverly Hills Book Awards for 2016 and has been ranked #2 in the "Top 14 Books about Families Crazier Than Yours" (https://www.brit.co/dysfunctional-family-books/ ). 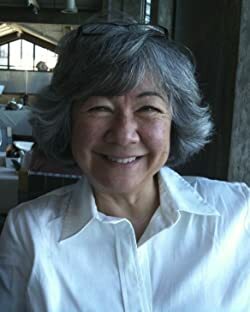 Diana has also written three books on Buddhism, one of which has been translated into Japanese and German (Women in Buddhism, University of California Press). She is a former professor at Stanford University in Buddhist Studies and the role of women in religion and culture. A. I am always listening and eavesdropping. And friends and acquaintances are always telling me stories. So I absorb these and focus on those that repeat from friend to friend. 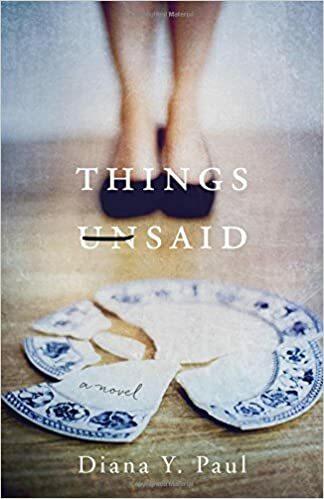 My first novel, released six months ago--Things Unsaid—focuses on competing family obligations: to one’s aging parents and to one’s own spouse and children. My second novel in progress focuses on the changing nature of dating. These discussions kept resurfacing and I couldn’t let them go. A. Creating a world with characters that take on a life of their own and have their own voices. A. I can think of three parts of writing which are tough for me: 1) Imagining how the reader will connect the plot/subplots of the story I’ve created, and add their own experience in responding; 2) Writing scenes with sufficient detail but not excessive wordiness; [ I ended up cutting almost 100 pages from Things Unsaid before publication.] 3) Making the most flawed, unsympathetic characters understandable. A. A mixed media artist (which I am) or a screenwriter in TV and movies. A. Too many to choose only one but I would add Olive Kitteridge by Elizabeth Strout, Mrs. Bridge by Evan S. Connell, Dinner at the Homesick Restaurant by Anne Tyler, and August: Osage County by Tracy Letts to my favorites list. They are all very dark and disturbing. On the lighter side, I loved Modern Romance by Aziz Ansari. A. This is a tough one—probably would say Hermione in the Harry Potter series for my serious, analytical side and Tigger in the Winnie the Pooh series for my impulsive side. A. This is difficult to answer also, because I have to get inside the mind of every character so that I have hopefully created an appropriate psychology for each of them. I guess I would have to say there is a little bit of me in all of my characters, but since Things Unsaid is not a memoir, the story really is imagined. A. I read two books per week, usually one novel and one nonfiction—so I would take whatever is first on my very long queue. 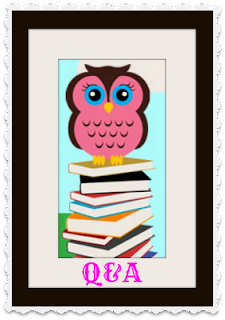 I review almost all of them, cutting the author some slack if he or she is a debut writer. A. Autumn—In Carmel the weather is perfect: crystal clear and in the mid-60s with beautiful sunsets and harvest moons. [Fog in this area is more frequent the other three seasons.] Also, our garden has spectacular flowers and vegetables in September and October. A. Julie Metz, creative director for She Writes Press, my publisher, blew me out of the water with the cover. I am an artist and look at cover design very carefully and it is extremely difficult to convey the tone and heart of a novel in one graphic. I feel Julie nailed it. I also love the simplicity of the covers for Celeste Ng’s Everything I Never Told You, Vikram Chandra’s Geek Sublime, and the emotional foreshadowing of Tracy Letts cover for “August: Osage County”. A. I was reading from Things Unsaid and one of the managers of Book Passages in Corte Madera (one of my favorite bookstores) said I should be a stand-up comic. That particular passage was meant to be humorous, or at least ironic, but the book is definitely a “ferocious tale” as some of the reviewers have described it. Also, at another of my favorite bookstores, Books Inc, a student in screenwriting said she could imagine Things Unsaid as an HBO mini-series. A. Yes, a humorous riff on dating in your 30’s when you have almost everything —great job, friends, and family—but your dating life is going nowhere. I am almost ready to finalize the manuscript before sending it out. A. I love social media—have been mostly on Facebook and LinkedIn but now trying to become more active on Twitter (@DianaPaul10). Please stop by or visit my author website: www.dianaypaul.com For me social media is like the town crier or water-cooler back in the day. We can all gather round and share ideas and recommendations. Would love to hear from other readers as well as authors! #MMBBR What's in the mail?? ?